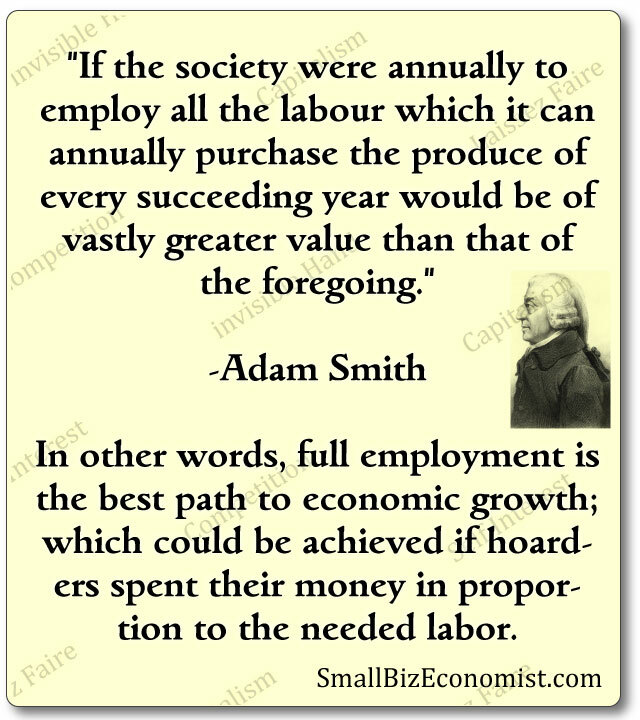 Adam Smith’s economic text book inspired the greatest government that has ever existed; a democratic government that protects our rights to fair commerce. 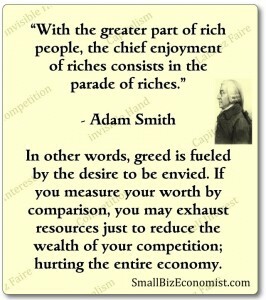 Smith wrote the Bible on economics, The Wealth of Nations. He comprehensively introduced the fundamental laws by which we should conduct business, to achieve stability and growth. 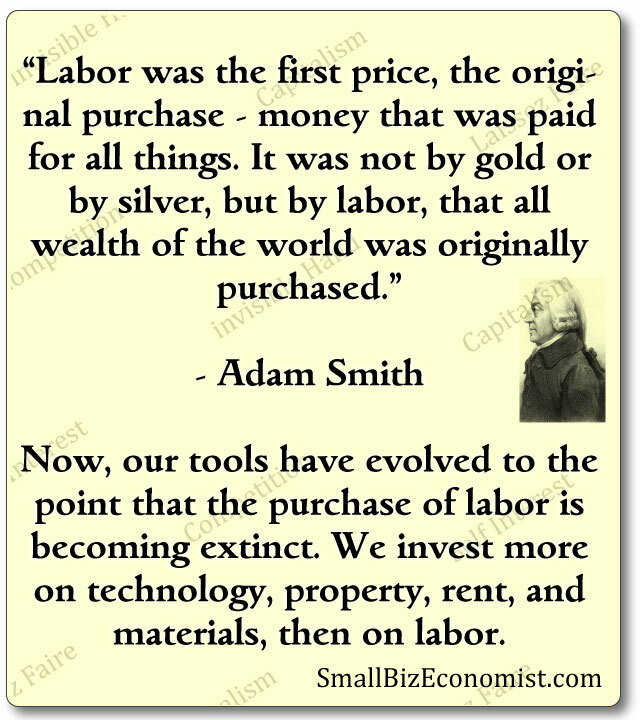 He researched and documented much of our human history in commerce and government, including many aspects of human behavior. 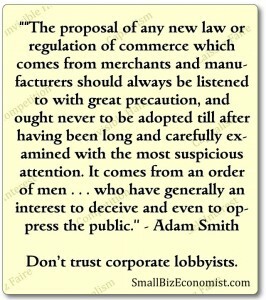 We still use his research today as our guide to the free market. 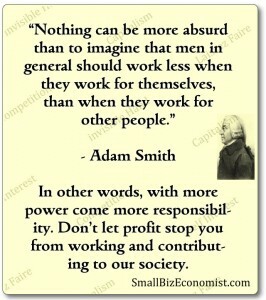 His words have helped guide me in my life, as a businessman, consumer, and citizen. 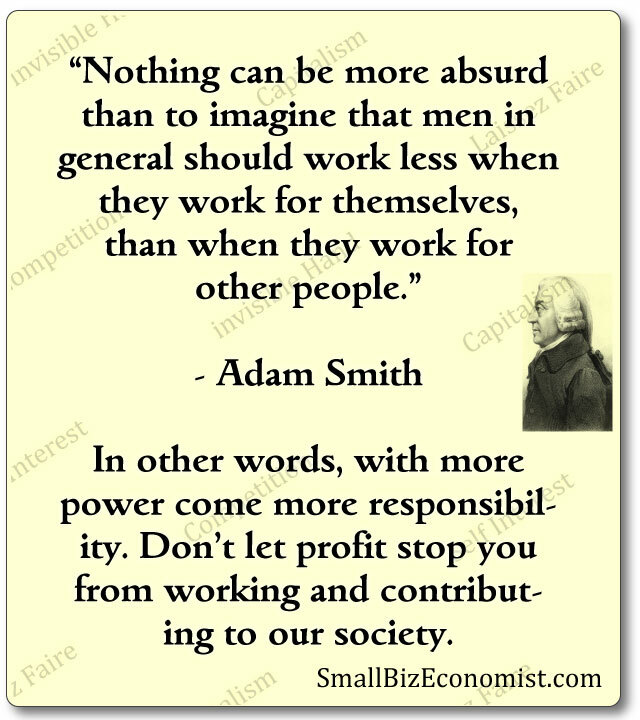 If you’ve heard of Adam Smith, then you know his “laissez faire” philosophy is used to support conservative politics and small government. 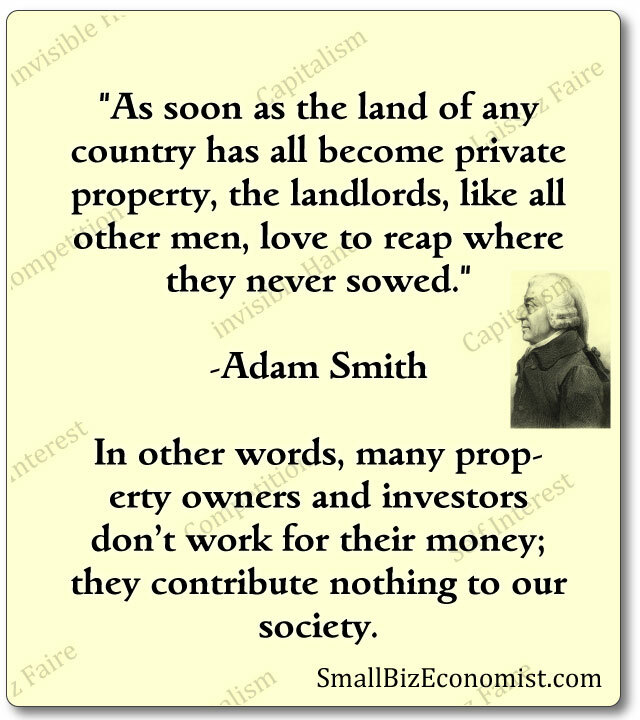 On the surface Adam Smith appears to be a Tea Party Patriot. I personally wear the liberal label, but he’s my favorite historic figure. So, how can that be? 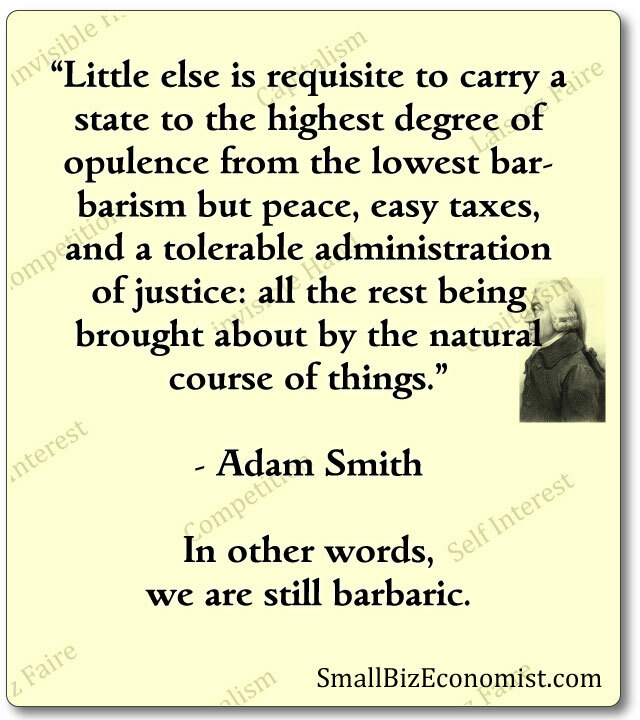 Smith’s historic texts gave insight into what might become of a capitalist country, the good and the ugly. Once you’ve studied his entire texts, and thoroughly understand it, you’ll earn a deep respect for these natural laws that guide commerce like an “­invisible hand”. 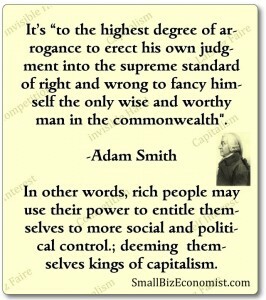 So, to show you how a liberal man can preach the teachings of Smith, I’ve listed some of his most important and forgotten teachings for you to read. By the end, you’ll be amazed that a man could describe our current commerce system in such great detail; long before the first photograph, gas lamp, rubber band, or type writer. There are universal laws by which we trade these objects, which will never change. Like Smith, I enjoy analyzing this unique science in great detail. 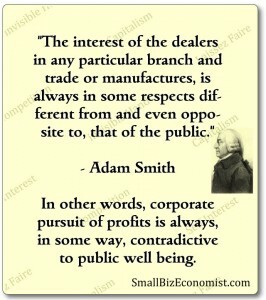 Like Smith, I know that power corrupts and no one destroys the free market more than a greedy and powerful businessman. 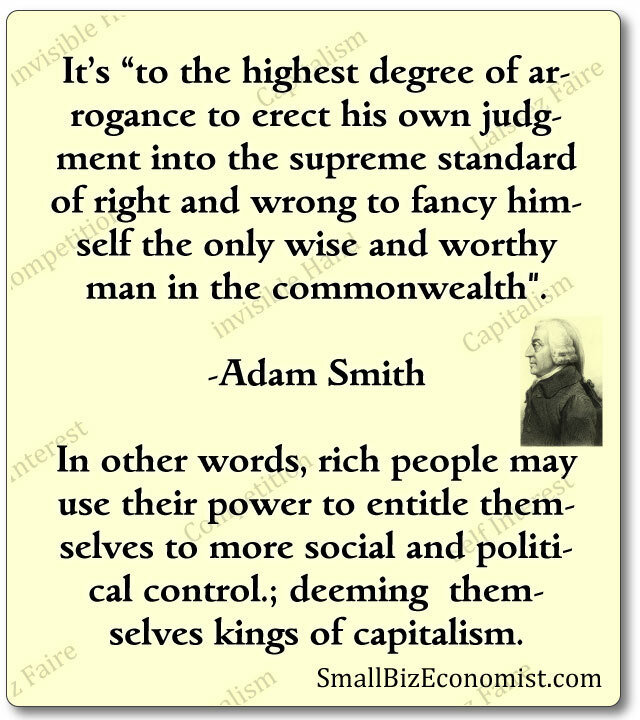 Adam Smith surprisingly makes a great case for liberal politics. Below, you’ll see how a long history of GOP Leaders neglect the full picture. You’ll learn why most economists support moderate, democratic, or progressive policies. 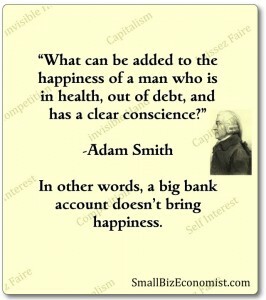 Adam Smith helped us understand one truth, if we all pursue our own self interest we will all be better off. 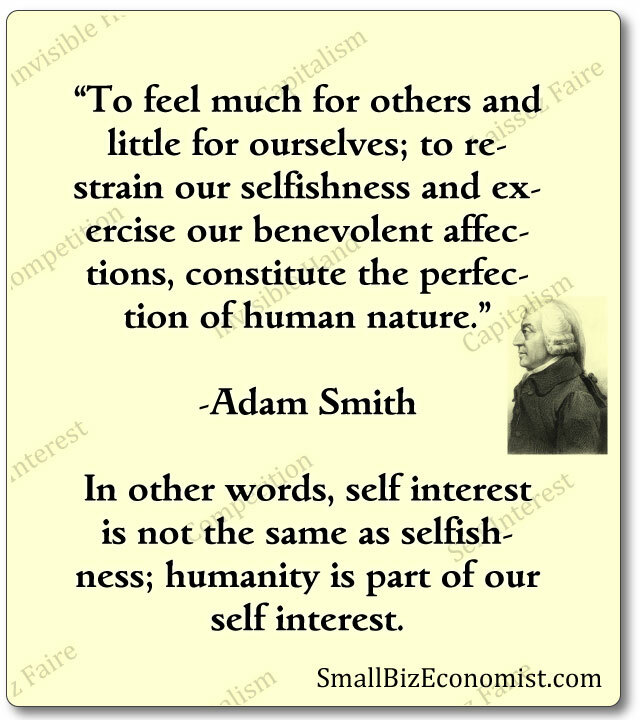 So, what exactly is self interest? 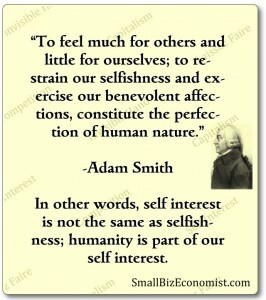 Well, it’s not the same as selfishness. 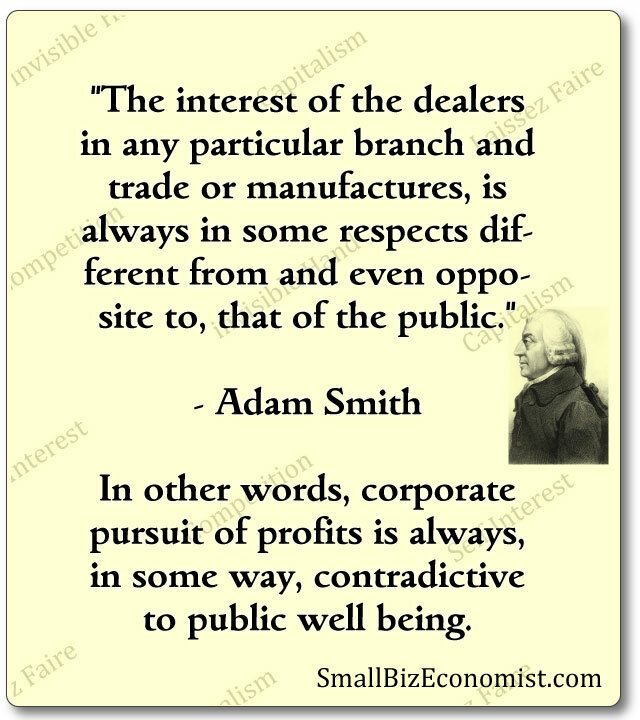 Adam Smith has clearly explained how greed and excess profits of businessmen negatively affect the economy, thus we end up all together less well off. 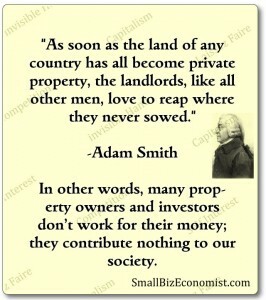 It is in our nature, or self interest, to put humanity before hoarding. Don’t let a few bad apples tell you otherwise. 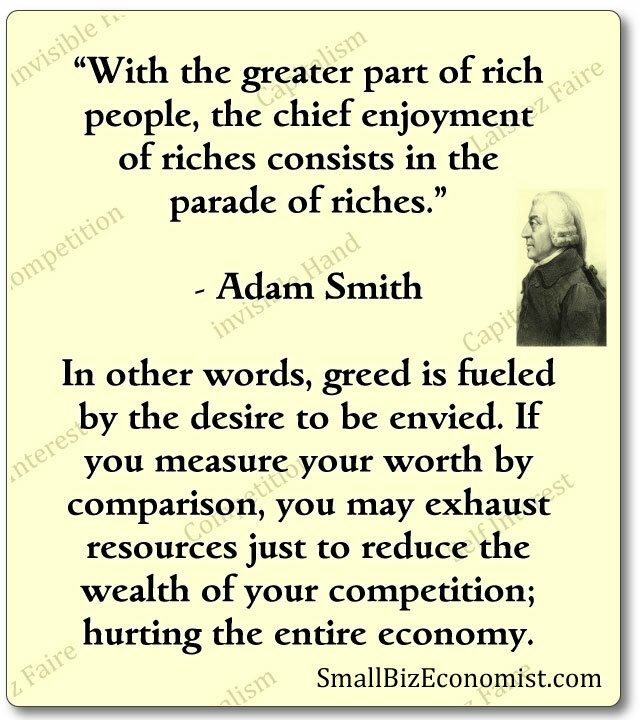 Conservative politicians are accurate when they say competition drives the economy, but powerful people and their selfish, greedy, and oppressive maneuvers will eliminate the competition. 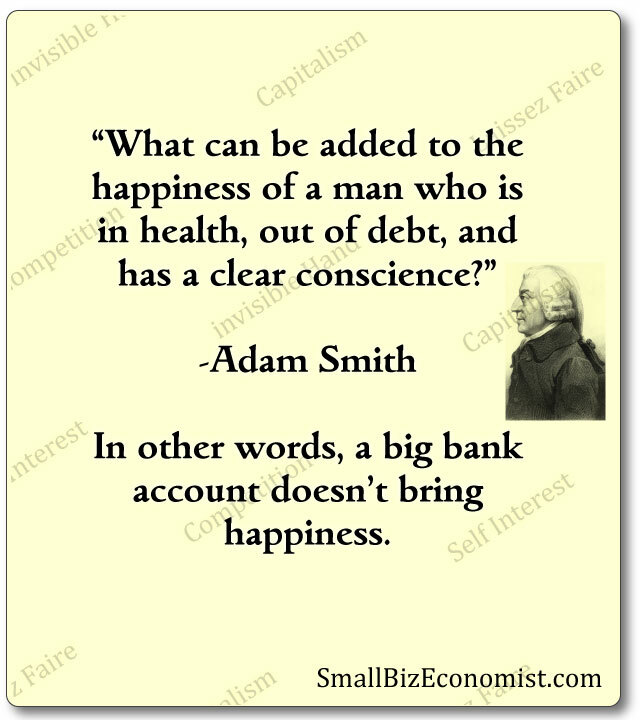 A free market will never exist until every person understands that a healthy economy is part of their self interest. It creates a better world for your descendants, and a safe environment for them to freely play and compete. 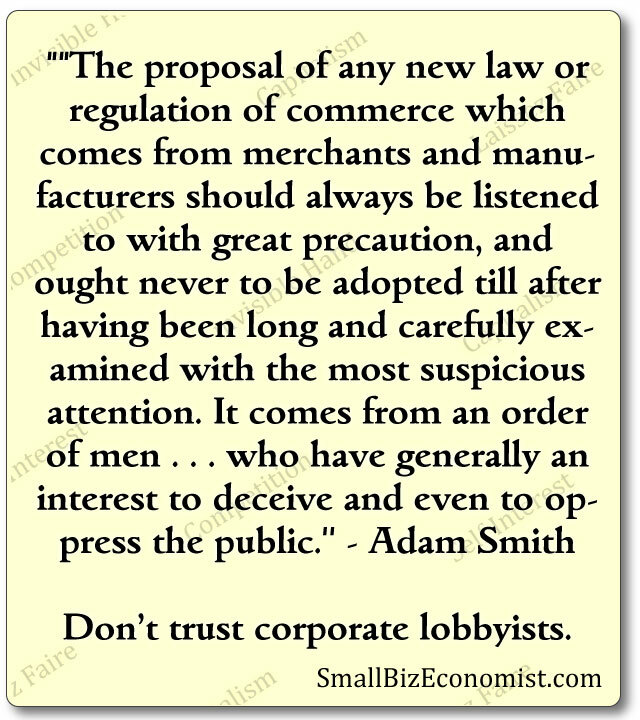 Some businessmen won’t get it until there are too few consumers left to buy the goods they produce, like 80 years ago during the great depression. Thus, came the most widely supported American policies in history: the minimum wage, high taxes of high earners, and social programs. This created decades of stability. We didn’t start having economic problems again until businessmen got their hands back on the government and started cutting taxes. 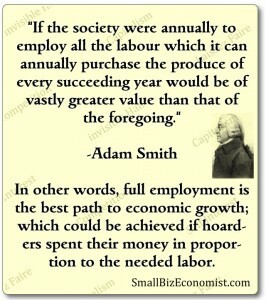 This grew the our national debt, which hurts the ROI of our social security. The tax cuts increased corporate profits, but wages stayed the same. The “trickle down” they theorized never materialized. 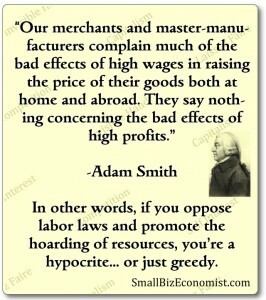 That’s because profits are in competition with labor. Here’s a fun analogy: There is a group on 20 people. You have 20 apples today. Apples are the only food source. You have the most apples and some people have just one. You all picked from the same fields, the same land. You consider sharing. You wonder if you’ll need help from these people one day. Your children might marry one of their children. One of them may find a field of oranges. One of them may save your life one day. You have power and influence, whether you sought it or not. You may have more because you worked harder. You may have worked harder because you enjoy showing off your apples, you may be smarter, or you may seek power. You may believe you are the victor of “survival of the fittest”. 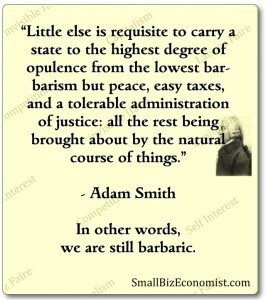 You may think the weaker should starve. You may think people with less apples are lazy. You may think they ate too many apples. 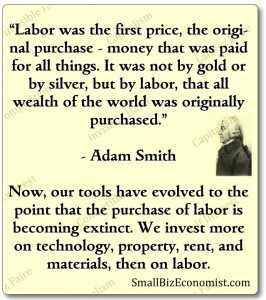 You may exchange some apples for labor, since you can now afford/deserve to be lazy. You may be generous and give some apples away. You may worry about others stealing your apples. You may wish you didn’t have this power/influence. Having this power may not be in your self interest. Maybe the group should work together and vote on a law that decides how to allocate apple shortages. You may reject the law and flee with your apples hoping you can find another place to pick apples. You see, it’s not so easy to determine optimal self interest, but it’s clear that competition isn’t the only factor.